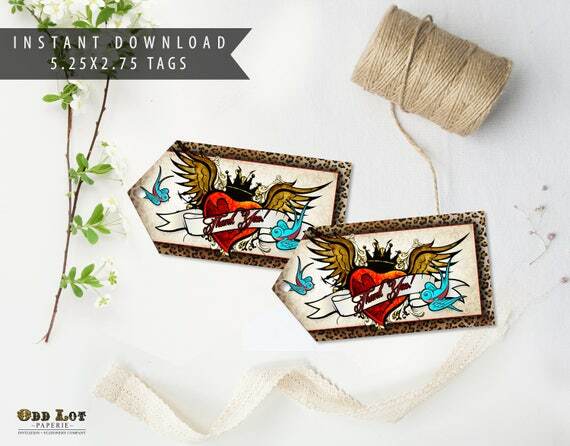 Instant Download Rockabilly Thank You Tags that are great for adding to favors for weddings, baby showers birthdays and so much more! These thank you favors have a great rock n roll style with a winged heart and banner that reads " Thank you" surrounded by birds and a great vintage worn parchment paper background. This is an instant download and you will get 1: 8.5 x 11 sheet that is ready to print and then you cut the tags out. Tags size is 2.75 tall x 5.25 wide.